ROME (CNS) — As they face “closed borders and raised barriers,” the world’s desperate migrants and refugees “ask us to dare to be in solidarity” and to work for justice and peace in their homelands, said leaders of the Italian bishops’ conference. 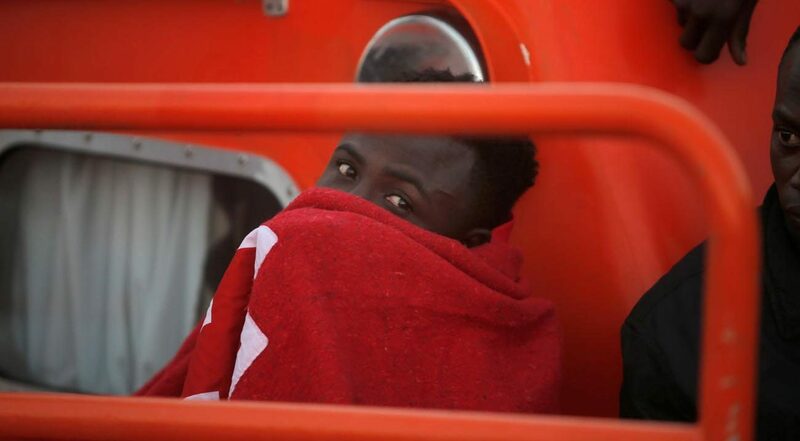 “The wide-open eyes and the glassy gaze of one seen being pulled in extremis from the abyss that already swallowed other human lives is just the latest image of a tragedy that we must not get used to,” said the Italian bishops’ statement after a woman and two bodies were recovered from the wreck of a migrant boat in the Mediterranean Sea. Cardinal Gualtiero Bassetti of Perugia and Citta della Pieve, president of the Italian bishops’ conference, along with the conference’s three vice presidents and secretary-general, issued the statement July 19. “The path to saving our very humanity from vulgarity and barbarism passes through a commitment to safeguarding life. Every life. Beginning with that which is most exposed, humiliated and trampled upon,” the bishops said. Rather, they said, motivated by the Gospel, Christians in Italy will continue to speak out for those who have no voice and to welcome those who are desperately searching for peace and a more dignified life.